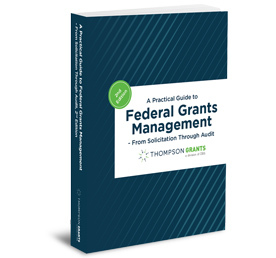 Whether you are new to federal grants or have years of experience, it is critical to master the rules for writing proposals. That is because under the uniform guidance, what you write in your proposal determines not just whether you will win an award: it determines your success post-award. In fact, using old, tried-and-true grant-writing practices for how you design your project activities and describe deliverables and outcomes can later sabotage your ability to demonstrate compliance and performance. That is a risk—and disadvantage—you cannot afford as competition and management pressures for federal grants intensifies. You need to make sure your very next proposal goes out with the right format and the right presentation of everything from objectives that can be properly measured to strong internal control systems. This webinar will show you what you need to know. 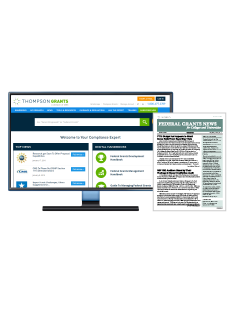 Register now for The Relationship Between Proposal Writing and Grant Compliance and Performance. 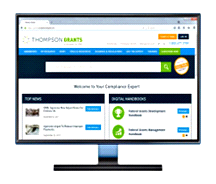 In this 90-minute webinar, Elizabeth Gombash—a nationally recognized authority in grant writing and grants management—will explain how the uniform guidance links the way that proposals are written with how you have to demonstrate compliance and performance. Step by step, you will master strategies that work hard for you all the way from pre-award through administration. Learn proposal-writing basics. 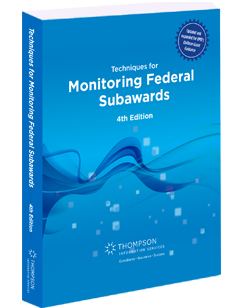 You will learn to align what you write with OMB’s pre-award guidance on everything from measurable objectives to outcomes. 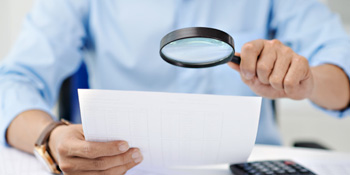 You will know how to spot potential trouble spots before you submit your proposal. You will also know the best ways to address performance, risks and remedies. Plus, you will have the chance to ask your own questions during the Q&A portion of the webinar. Do not let a poorly written proposal undercut your ability to demonstrate compliance and success down the road. 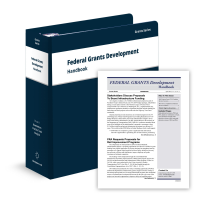 Take this opportunity to upgrade from “Grant Writing 101” to the next-gen strategies it takes to meet uniform guidance expectations. Elizabeth Gombash is the Managing Member of G Team Communication, LLC, an education consulting company that provides grant lifecycle support services to higher education clients. In addition to grant writing and strategic concept development, Ms. Gombash specializes in developing institutional grants management capacity to keep pace with evolving funder regulations and interpretations relating to internal control systems and compliance. She is a nationally recognized authority in grant writing and grants management, rooted in over 30 years of practical experience applying funder regulations, rules, and policies, most recently having retired as Associate Vice President of Strategic Grants Planning and Development at Seminole State College of Florida, and also having worked as a federal grants management specialist. Grants written by Ms. Gombash have been funded for over $110 million by numerous federal, state, and private sources, including grants from the U.S. Department of Education, the National Science Foundation, and the Health Resources and Services Administration. She has maintained an average annual funding rate of approximately 75% throughout her career. She has delivered numerous training workshops and conference presentations around the country, and written articles for professional publications. Ms. Gombash has served as a director on the national boards for the National Grants Management Association and the Council for Resource Development, and currently serves on Thompson Grants’ Editorial Advisory Board.